Book your 60 minute one on one session now for only R 200. 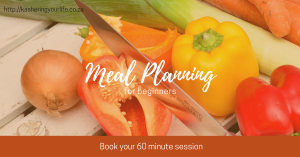 Learn to draw up your meal plan template and what apps and websites are available to reduce your grocery bill. Receive tips on how to create a meal plan that will work for you. Thank you for your booking. Remember your booking includes an extra 20 minutes free, until 31 December 2017. You get an 80 minute session for only R 200.